It’s that time of year again…Cinco de Mayo! 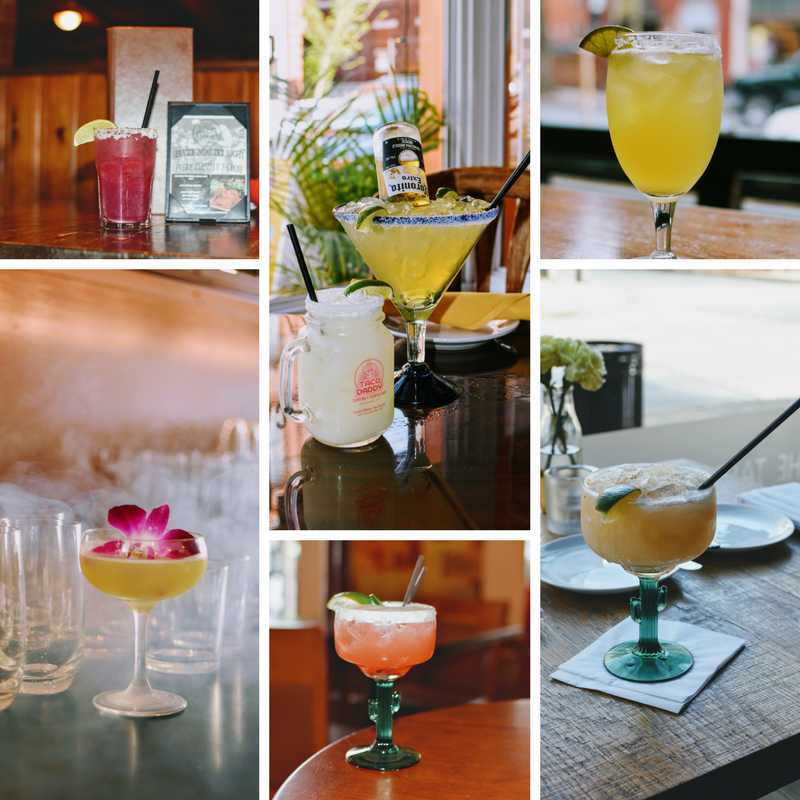 As arguably the first day drinking event of the summer season, we have taken it upon ourselves to locate some of Downtown Frederick’s best margaritas. And who knew downtown was such a hub for these marvelous drinks? 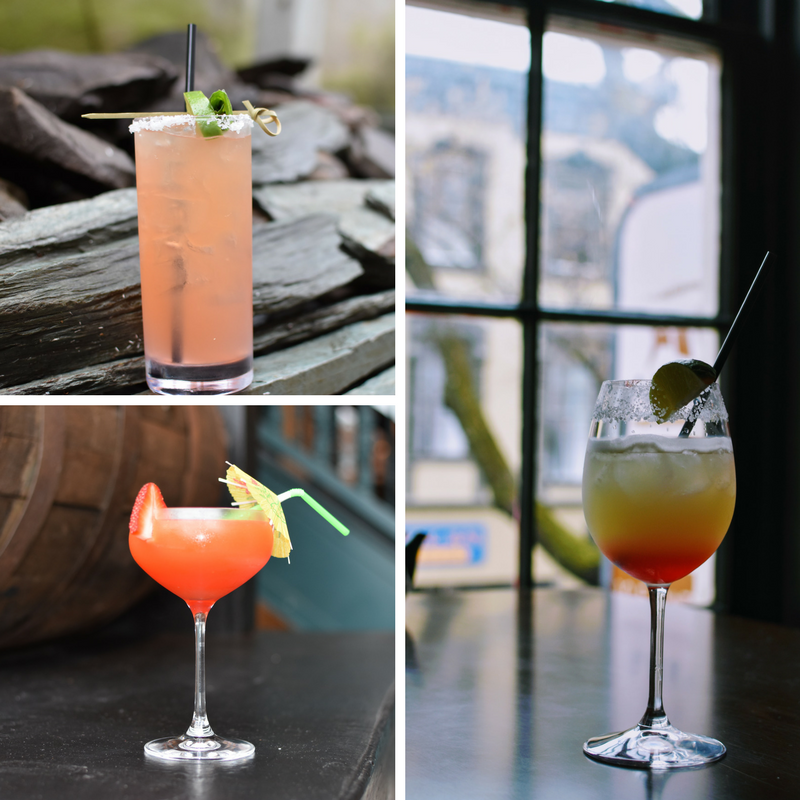 From yuzu flavors to prickly pear, Downtown Frederick offers some of the most unique and scrumptious margs in the area! Just remember to drink responsibly… there’s a serious risk of brain freeze from these muchachos. Start your Tipsy Tour of Downtown Frederick on N Market St at Volt! For Cinco de Mayo they are featuring a smokey and sultry Grapefruit Mezcalita Margarita (pictured bottom left). This classic cocktail with a twist will be sure to impress and throws in exotic flavors of strega, lime, ginger and Hellfire Bitters. Then work your way to Bushwaller’s for more of a classic margarita with a kick! Their Jameson Margarita contains Jameson Irish Whiskey AND Grand Marnier — a drink that will be sure to really set in the party vibes (pictured top right)! Just like tacos come in twos, so do the margaritas at Taco Daddy (pictured top center)! Their Limecocorita will transport you to the beaches of Mexico with just one sip, but if you’re looking for something a little more quenching, try their Corona Margarita and share with a friend! 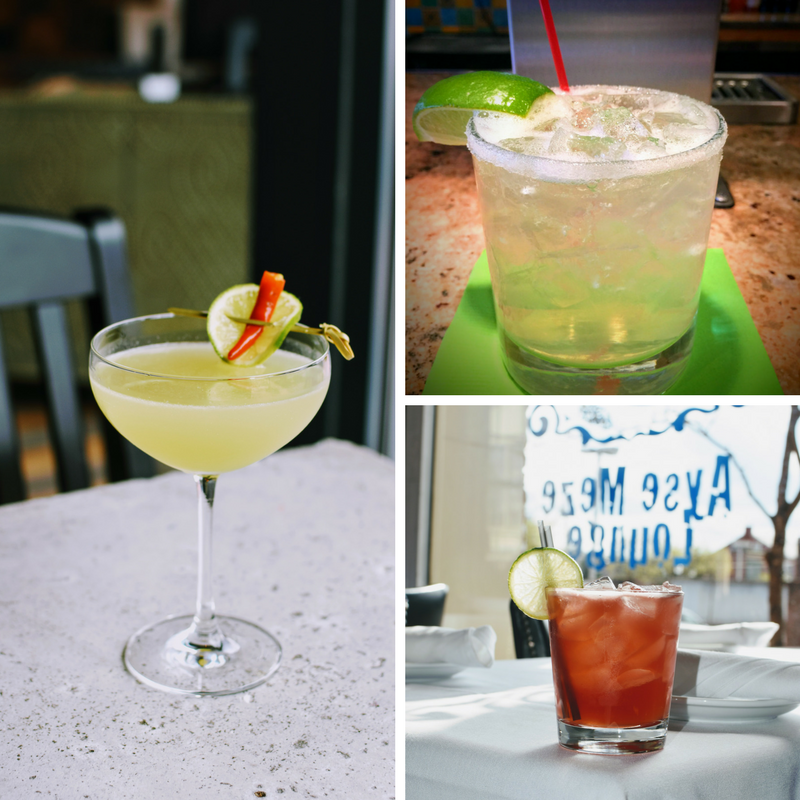 Then, dash across the street to Brewer’s Alley for their new Strawberry Jalapeno Margarita (pictured bottom center)! This drink combines sweet and spicy in a way that will make you ask for a second! But to really commit to this Mexican holiday, you have to try Cellar Door‘s Prickly Pear Margarita (pictured top right)! This marg is so sweet and so colorful, everyone will love it! Finally, to round off N Market St, head over to The Tasting Room for another mind-blowing margarita concoction (pictured bottom right). 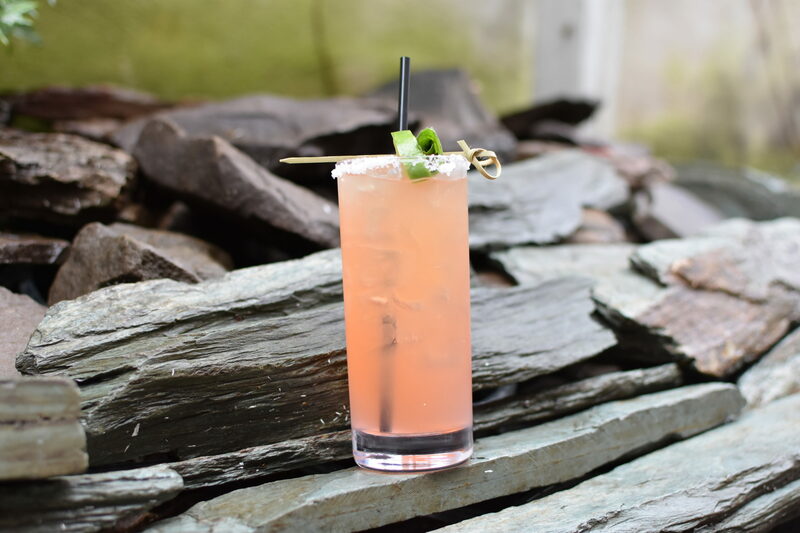 Their Smoked Guavarita margarita features guava, mezcal, smoked ancho chiles with a hint of lime. But your Tipsy Tour of Downtown Frederick is far from over! Up next is Lazy Fish! Head up the stairs to try an absolutely incredible Yuzu Pomegranate Margarita (pictured right). Now you may be wondering, what in the world is yuzu?! It is a Korean fruit that is often described as a combination of an orange, a lemon and a lime — making it the perfect fruit to feature in a margarita! This drink is a must try! Next, slide over to JoJo’s Restaurant & Tap House for an icy cold Frozen Strawberry Moscato Margarita (pictured bottom left). This sweet drink is delicious and will be sure to cool you off! And for your last stop on E Patrick St, head down to Nido’s for their Nidorita (pictured top left)! This drink combines the sweet orange Campari of Italy with the classic tequila of Mexico. This drink will stun you with its incredible refreshing flavor! But the fiesta doesn’t end here! Head to Ayse Meze Lounge for their new King Priam Margarita (pictured bottom right)! This drink was named after the King of Troy and has a fiercely scrumptious flavor that features cranberry and house spiced grenadine. If you’re more of a classic marg kinda person, definitely check out La Paz‘s House Margarita (pictured top right). This classic drink is beautifully executed and takes lime to a whole new level! And finally, to end our Tipsy Tour of Downtown Frederick, make your way to the Wine Kitchen on the Creek. Their savory “Don Randal” Margarita features smoked peppers, cilantro and lime. And their view of the creek is a perfect way to end your day! Be safe everyone! And Happy Cinco de Mayo from Downtown Frederick!